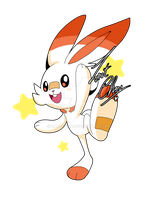 Some Sugimori-style fan art of Scorbunny, the latest Fire starter from Pokémon Sword/Shield. 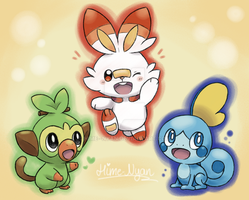 Should have Grookey done in a few hours. 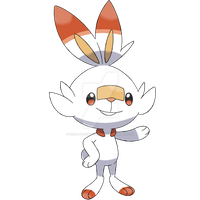 Scorbunny's badassery rate: 100 percent times infinite! Badass scorbunny, looks so cool man! This looks great! It could be an official art from Sugimori himself. Great! wdym this isnt official art???? This looks fantastic! So nice to see some new Sugimori-style Pokémon artwork from you. It's such a shame he isn't the designer for these games anymore. The new Mon just look...off to me. Regardless, keep up the amazing work! This looks soooooo amazing and accurate! Love it! I’m from the uk haha. I think I can work with this guy! I know he'll be my starter on there.